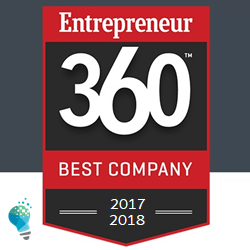 For the second year in a row, Knowledge Hub Media was again named one of the “Best Entrepreneurial Companies in America” by Entrepreneur Magazine. WEST CHESTER, PA (IssueWire.com) – West Chester, Pennsylvania – Knowledge Hub Media was recently recognized as one of the “Best Entrepreneurial Companies in America” by Entrepreneur magazine’s Entrepreneur360™ List, a premier study delivering the most comprehensive analysis of private companies in America. Based on this study forged by Entrepreneur, Knowledge Hub Media is recognized as a well-rounded company that has mastered a balance of impact, innovation, growth leadership and value. Also recognized as an Inc. Magazine “Inc. 5000” honoree three years in a row, this marks Knowledge Hub Media’s second straight appearance on the coveted Entrepreneur360™ list. Knowledge Hub Media specializes in B2B advertising and marketing services, such as account based marketing, demand generation, lead generation, white paper and content syndication. Knowledge Hub Media is a B2B advertising, marketing and technology platform that specializes in account based marketing, demand generation, content syndication, lead generation services, ABM marketing and white paper syndication. Visit us to learn more or view our media kit.